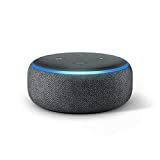 The Alexa Open the Magic Door skill on the Alexa smart connected home device is one of the most adventurous developments in the recent history of smart home technology. Tech geeks and technology enthusiasts chronicle the tales of development behind such modern marvels with twists such as this. If you still remember reading interactive books, then you will love this because it takes a different approach, giving users an adventure navigated by voice with characters, plots and scenes that can be navigated through. But first you must unlock the magic door by saying, “Alexa, open the magic door.” Then you simply walk through the door. The feature on Alexa and Amazon Echo has an interesting backstory, too. The developer and content creators that were originally involved in creating this project were Andy and Laura Huntwork. The Huntworks created a drawing from which the game is based and Alexa Open the Magic Door game will take you on an adventure with totally original content. 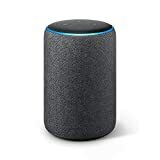 Andy has been a developer at Amazon for more than a decade and he immediately had an interest in working on the Echo and subsequently the Alexa platforms. Echo was released in 2015. Once the door is opened, Alexa will tell you what your options are to start your adventure. Choose your destiny as the options are laid out for you. You will not need to do much once the skill is activated. It is pretty straightforward. Keep in mind that if you see an Alexa red ring it probably means Alexa didn’t understand what you said, so just try again. Alexa and Echo are designed with interactivity with the user in mind. A device that can be voice activated and taught skills like storytelling adventures is one way Amazon is staying ahead of the curve in the home automation market. The stories available are suitable for all ages. Look for the map online to get an idea of just what type of adventure you might find yourself in inside this magical adventure. Stores consist of full adventures with a beginning and an ending. Scenes consist of places, such as where you are or where you are going to be. Prompts are when Alexa asks the user to make a choice during the adventure. Choices are selected by the user and correspond to the prompts offered. 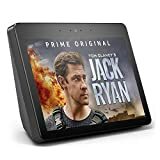 Transitions are the descriptions of the adventure as told by the Alexa device when moving through scenes. Alexa and other home automation products and services are a specialty from Protect America. You can read our Alexa skills list and other tutorials on our blog to find other cool things you can do.